Basé sur un travail ethnographique approfondi sur le marché local de Catagne en Sicile, cet article a pour but de s'interroger sur la représentation locale du rapport au lieu. En observant comment le marché reflète le paysage local, je veux souligner deux points: la perception de l'espace qui ressort du dialogue entre vendeurs et clients d’une part, les manières dont sont présentés et classifiés les produits alimentaires de l’autre. En mettant en avant les contradictions apparentes dans ce système complexe de significations, j’utilise la métaphore du contrepoint qui permet d’établir des catégories capables de comprendre les représentations associées au paysage. L'utilisation de l'espace dans le marché donne à voir une cosmologie distincte, dans laquelle le paysage constitue le principal moyen d'organisation locale. Le paysage est appréhendé comme un processus culturel, constamment re-négocié et re-contextualisé. Les principales catégories de classification de nourritures ("naturelles", "locales" et "étrangères") renseignent sur la relation entre les habitants, l’alimentation et l’espace. L'agencement des étalages ainsi que la classification des produits engagent une discussion sur le paysage et sa dimension “naturelle” ou “domestiquée”. Based on an in-depth ethnographic study within a food and fish market in Catania, Sicily, this paper aims to investigate how place and identity are represented through performances and displays within the market. The market derives its identity from a complex relationship to place. I aim to depict the meanings attached to landscape (paesaggio) by a specific community, i.e. the local market traders and buyers. I regard the concept of landscape as a useful framework through which to explore the relationship between people and the environment. Looking at how the market embodies the landscape, I examine two main aspects: the market's display and its system of food classification and the perception of the landscape through the narratives of market vendors and buyers. The principal categories of food classification ‘wild’, ‘local’, and ‘foreign’ are explanatory notions of a specific relationship between people, food and locality. The stalls' layout and the goods’ classification, therefore, provoke a discussion about landscape, wilderness and domestication. To address the apparent contradictions in this complex system of meanings, the use of space within the market informs a distinctive cosmology, in which the landscape constitutes the main local organising principle. I focus on how the landscape is constantly renegotiated and recontextualised. 1This paper is based on an ethnographic study of La Pescheria, a food and fish market in Catania, Sicily1. 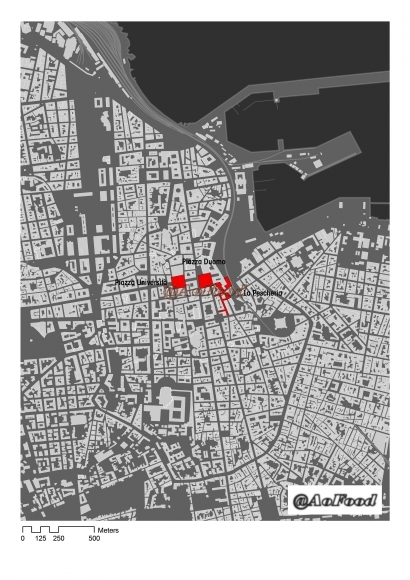 The context of this research is a public social space in an urban South-European city. The market derives its identity from a complex relationship to place. I aim to depict the meanings attached to landscape (paesaggio) by a specific community, i.e. the local market traders and buyers. I regard the concept of landscape as a useful framework through which to explore the relationship between people and the environment. 2Much of the current debate in food literature revolves around local food. Localism has been mainly seen as “a counter-hegemony to [...] the globalisation thesis, a call to action under the claim that the counter to global power is local power” (Du Puis and Goodman, 2005: 361). However cultural geographers have challenged the dialectical dualism between local and global, pointing out that localism can represent a conservative approach, reproducing inequalities in access to information and to resources. The notion of “defensive localism”, derived from the work of Allen (1999) and Winter (2003), clearly demonstrates how problematic the study of local food can be. There have been increasing attempts to address “the complex meanings and significations attached to acts of consumption so as to avoid false dichotomies between globalised food systems and alternative consumption practices” (Winter, 2003 : 30). Even though the realm of alternative food production and consumption has recently become the focus of important scholarly contributions (Counihan & Siniscalchi 2014; Grasseni, 2013), it is still necessary to approach the local as « an open concept that is negotiated in place by actors with different agendas” (Blake et al., 2010 : 422). 4“the perceived settings that frame people's senses of place and community. A place is socially meaningful and identifiable space to which a historical dimension is attributed. Community refers to sets of people who may identify themselves with a place or places in terms of notions of commonality, shared values and solidarity in particular contexts” (2003 : 4). 5Taking this definition as my starting point, I ask how the urban market embodies the surrounding landscape, examining two main aspects: the analysis of the market's display and its system of food classification and the narratives of market vendors and buyers. 6I begin by laying out the theoretical dimension of this article, looking at the difference between territory and landscape. Then I briefly describe the research setting, to move on to the main categories, in which food is grouped: 'local’ (locali or nostrali), ‘foreign’ (forestiero), and ‘wild’ (selvatico). The spatial layout of goods and stalls are regarded as representative of the local ideas about nature and of the surrounding landscape, characterised mainly by the sea and Mount Etna. The stalls’ layout and the goods’ classification, therefore, provoke a discussion about landscape, wilderness and domestication. Thus I conclude with an ethnographic account of the cultural construction of landscape in a Sicilian food market, explaining how it reflects the local relationship with the environment. 7According to Tilley (1994 : 34) the "[l]andscape is a signifying system through which the social is reproduced and transformed". Bender also underlines the constructive nature of the landscape, as a continuous work of renegotiation, when she writes: « It is part of the way in which identities are created and disputed, whether as individual, group, or nation-state » (1993 : 5). In this perspective landscape is conceptualised as cultural process (Hirsch, 1995), where the symbolic meanings attached to physical space are simultaneously renegotiated and conceived as fixed in time, stable and almost immutable. Thus, the notion of landscape is vital to understanding the experiences of space (Stewart and Strathern, 2003) and time (Bender, 1993). 8In order to clarify how we can apply this concept it is useful to look at the Italian word for landscape, paesaggio. It comes from paese, meaning 'the village', but also 'the land', 'the region'. The starting point of this cultural acquisition is a physical and geographical place (Turri, 1979 : 51). The landscape has been regarded from an aesthetic or artistic perspective mainly, as « overview, panorama, aspect of the territory » (Starnini, 2008 : 9), initially related to painting. Territory nevertheless implies a defensive attitude, an « area of land under the jurisdiction of a ruler or state » (Oxford Dictionaries, 2010b). It is indeed a term derived from zoology, in which an animal or a group of animals defend an area against others of the same species. In fact, from an etymological point of view, territorio comes from the Latin territorium composed from terra (soil, land) and the suffixes -tor or -torem, which imply an agent. Since the territory has boundaries (Ingold, 1980), the word carries the significance of a belonging, a possession of the land. In current Italian discourse, territorio, territory, bears clear political implications. Engaging with the territory is an expression used to think of the environment in an active way: expressions such as legame con il territorio (tie to the territory), politiche del territorio (politics of the territory), servizi del territorio (territory services), rivalutazione del territorio (re-evaluation of the territory) are useful examples to place this word in the right context. Territory is used to express the active engagement between humans and the surface of the earth. It also implies some kind of responsibility, related to universalist values, such as environmentalism. 9Landscape is defined as « all the visible features of an area of countryside or land, often considered in terms of their aesthetic appeal” (Oxford Dictionaries, 2010a). The notion of landscape implies a sense of balance and harmony, which « carr[ies] positive moral weight, so that a disordered or formless landscape seems something of a contradiction” (Cosgrove, 2006 : 52). Despite the illusion of fixity, “[a]s landscapes change and as people move within them, there is a corresponding movement of the imagination that elicits both the creation of new narratives and reinterpretations of old ones” (Árnason et al., 2012 : 11). 10The landscape encompasses everything that the gaze is able to embrace and the horizon becomes « a primary feature of landscape” (Casey, 2001 : 690) itself. Dear to phenomenology, Gadamer introduces the concept of horizon to denote the existential value of landscape as way-of-being-in-the-world, Dasein (Gadamer, 2013). 11Scholars have discussed the notion of “mythic geography” in relation to the landscape. Cosgrove describes three mythic landscapes: the urban dimension of the city, the agrarian landscape and the wilderness, moving progressively from a Dionysian landscape to an Apollonian one, a movement very often looked at as from nature to culture (Cosgrove, 1993 : 294). He unveils the layers of the foundation myth of Britain, connecting the spatial and temporal dimension of Greek and Roman mythology. 12“This temporal narrative moves from nature to culture via increasing human invention and social sophistication. Its spatial dimension is a series of symbolic landscapes from the wilderness of pristine nature, through the glades and meadows of the pastoral and the cultivated agrarian garden, to the walls and buildings of the city with its market for commerce and forum for political discourse” (Ibid : 293). 13At the market, mythology, literature, geography and history mingle in a unique representation of the local identity. Extending the concept of “mythic geography” to the mythic foundation of Italy, Sicily can be seen as the border (Renda, 2000), the link to Africa, the tie to wilderness. It is the last frontier to be conquered, to be controlled, but it is also a reminder of the Sicilian otherness within the nation2 (Hart, 2007). Schneider and Schneider warn that “[m]any Sicilians themselves subscribe to the same stereotype, giving it even greater weight. The resulting 'myth of Sicily' evokes a primordial, racialized past, more or less outside of history” (Schneider & Schneider, 2005 : 502). 14I argue that the market's food classification sheds light not only on the relation to the landscape, but also helps placing food, and especially local food, in relation to the territorial context and to wider regional, national, and international networks (Hinrichs, 2000). To achieve this goal, it is necessary to proceed with an approach similar to Bestor's work on Tokyo's fish market (Bestor, 1999 ; 2004), where he revealed the implicit meanings of food classification, highlighting the complex ways they “interact with the material circumstances of the society that produces or trades or consume them” (Bestor, 1999 : 213). Bestor' study also addresses the multifactorial system of classification, while accounting for the continuous renegotiation that the system itself undergoes. 3 For more information about the research context, see Marovelli, 2013. 15Catania is an Italian city, located on the oriental coast of Sicily, on the Mediterranean Sea. The province of Catania counts above one million inhabitants, and the municipality of Catania about 300,000 citizens (ISTAT, 2011). It is located at the foot of Mount Etna, an active volcano, on a small bay facing the Mediterranean sea and close to one of the few flat plains in Sicily, the Piana di Catania (Catania’s plain)3. 16Today each neighbourhood in Catania has a local market, in some cases very informal ones, comprising ambulant vendors selling fish, fruit and vegetables from their Ape Car. The markets of the city centre still bear special significance. Upon entering the city, signposts indicate where the two historical markets are located: historical markets ('mercati storici') the sign reads, clearly visible on the way to town from the airport. 17The Pescheria and the Fera du' Luni are both located in the city centre, about 500 meters apart. But despite their similarities, they encountered very different destinies. Whilst the Pescheria remained a 'traditional' market run by Sicilians, and connected to what is regarded as 'traditional' food, the Fera du' Luni integrated diverse elements. It incorporated new social actors such as immigrants from different countries, who bring new elements also from a gastronomic point of view. Fera du’ Luni became somehow similar to other Italian markets, such as Piazza Vittorio in Rome or Porta Palazzo in Turin. 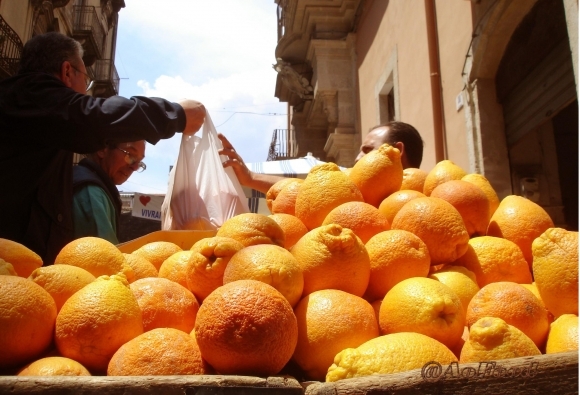 Lately Catania also hosts the organic market, the Fera Bio, a monthly market and a few mercati dei contadini, farmers' markets in which the farmers sell their produce directly to customers. 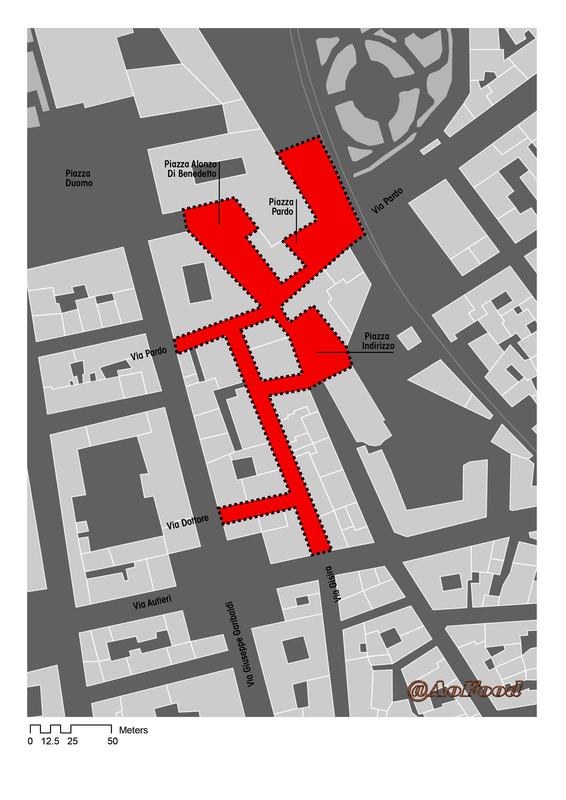 Figure 1 : Map of the city centre with Piazza Universitá, Piazza Duomo, and La Pescheria. 18In this article I argue that an in-depth analysis of food classifications is necessary, in order to investigate the relationship between the urban market and its surroundings. This certainly means observing how food is grouped and how these choices are explained. The main categories used within the market to describe the goods on sale are the following: 'local' (locali/nostrali), 'wild' (selvatico), and 'foreign' (forestiero). 19The category of 'locali/nostrali' partially resonates with Black's (2012) understanding of nostrano (literally ours), as it is used at Turin's Porta Palazzo market. The locali/nostrali not only refer to a nationalistic connotation, identifying products, which have been grown or made in Italy. They also express a strong regionalism, in which local foods are symbolic of Sicily - of its abundance, goodness and fertility. The local represents what is safe. Seasonal produce, such as oranges, lemons, prickly pears, tomatoes, watermelon, melons, and artichokes, are displayed like an avalanche; a huge amount of produce arranged in a mountain shape. 20Local produce comes from the wholesale market as much imported goods do. Similar to the case of the Provençal market analysed by De La Pradelle (2006), the wholesale market and the retail markets are differentiated both in location and in function. « The relegation of the wholesale market to a location outside the city is a spatial reflection of the distinction between the roles of the two markets » (Ibid : 15). Slaughterhouses and wholesale markets are all situated outside the city, and this is typical of the “hyperseparated state” of food industrialisation (Fitzgerald, 2010:60). 21Intensively farmed products can be defined as local as much as their provenance is Sicilian. Local does not imply a difference in quality, even if market customers believe local products are better. This labelling only specifies the provenance. Fruit is left in wooden crates lined with plastic as at the wholesale market, or otherwise in plastic boxes, resembling a supermarket display4. Plastic baskets are used for cherries, strawberries, nectarines, leaving intact the same wholesale market packaging. 5 I am using pseudonyms in order to guarantee anonymity to my informants. 22At La Pescheria both fishmongers and greengrocers display abundance and variety and many vendors overtly appreciate the wholesale market since they can buy fish or produce each day, without having to rely solely on smaller local production. The wholesale market's abundance and variety are seen as symbols of the present economic wealth compared with the famine of bygone days, when it was more difficult to guarantee food supplies. It symbolises the victory of modernisation over unpredictability and it is testimony to a vision of the sea which can be tamed through modern means. Salvatore Longo5, probably one of the most popular fishmongers, his stall being an institution at Piazza Pardo, explained to me that the wholesale market allows them more stability and a constant supply as compared to the past, when the catch was highly influenced by the weather conditions. Marco, Salvatore's nephew, in his late thirties at the time of my fieldwork, speaks with pride of today's availability, while rearranging the stalls so that it looked as copious as possible. 23“You find everything at the market. Even if it has rained the night before. The distribution system allows us to sell every day. It was not like that before. Now we get fish from everywhere. It's good, people come to the market even if it has rained. They know we always have fish”. 6 For more in-depth discussion of this topic, see Sorcinelli, 1999 and Counihan,2004. 24This holds true for the majority of fruit and vegetable stands too. Scarcity of food was a daily issue for Italian families up until the 1970s6. The display of abundance constitutes an effective way to remember that poverty no longer affects Sicily, and this achievement was a very distinct Italian desire in the 20th century (Montanari, 2006). The Pescheria's model of abundance recalls what De La Pradelle defines as the most common one at Carpentras, the market where her fieldwork was based. « The implicit pictorial model is of course the horn of plenty, where the whole of nature is summed up in an assembly of fruits from the four corners of the earth. […] In the garden of Eden, distance between continents and the alternation of the seasons are abolished » (De La Pradelle, 2006 : 112). 25At La Pescheria, this means living in an age in which Sicily is not isolated, but placed within an efficient network of food distribution, which has a positive connotation within the market. If the weather is not good, the fish comes into the market anyway; if the harvest has been damaged, fruit still reaches the market; the wholesale market has defeated the seasons. Figure 2 : Oranges in season. 26Speranza Gino, who runs the most colourful fruit stall in the market, has no doubt about the benefits of this change. « We get everything [...]. We have the amazing local produce from the surroundings of Catania [...]. It is good, we have more choice, more variety ». He is referring to the intensive farming methods used on the plains of Catania, which means that there is no concern about the modality of intensive cultivation. The wholesale market stands for a domesticated nature, for the human victory over seasonality and over weather conditions. In the past, the market supply was unpredictable; now it is more secure, as in the case of fish. 27This ostentation of abundance and fertility is directly connected to the agricultural landscape of Catania's plain and also to the area around Mount Etna. At the beginning of the 20th century, prosperous agriculture generated a very specific phenomenon in eastern Sicily and in the suburban area of Catania: the growth of agrotowns, in which the peasants lived side-by-side with a well-off commercial bourgeoisie, which had been consolidating its financial power ever since the Unification of Italy in 1861 (Barone 1987). The harbour at Catania and the local provincial railway network7 contributed to the prosperity of this ‘wealthy countryside’ (‘campagna ricca’) (Barone, 1987 : 332). Furthermore, the availability of water, which was not controlled by any criminal organisation such as in Palermo’s area (Aymard, 1987), allowed for the improvement of the irrigation system for citrus fruit plantations. In the 1920s more than half of all Sicilian citrus farms were located in the Greater Catania area, and 66% of all exports went through the Etnean city (Ibid : 21). 28At this point it is also necessary to reveal what is concealed, and what is not overtly revealed; and as I will show in the following ethnographic examples, in the Pescheria, 'foreign' foods are present at the market, but they are not labelled as such. Despite the positive connotation attributed to the wholesale market's reliability, the foreign constitutes the hidden and unspoken category. It is clear that there is food coming from outside of Sicily, but it is not labelled as such. A good example is provided by the apples with the stickers of Val Venosta from the Tirol, easily recognisable from an intensive television advertising campaign and quite popular nowadays in Italy. I could see the red ladybird labels peeping out, symbol of the apples grown in the South Tirol, while the vendor explained to me that all his produce was local. Foreign provenance needs to be concealed or disguised, since the market identity is based on the performance of locality. Although customers fear being given Chinese garlic and Spanish oranges, these products are on a few occasions sold as local. Like in the history of Sicily, the foreign mingles and interacts with the local. It is possible to draw a parallel with Sicilian gastronomy, which was made unique exactly though those exchanges brought from the foreign powers, which throughout the centuries governed the island. In the same way local gastronomy wisely mixes local ingredients with foreign ones, resulting in product that is recognized as intrinsically Sicilian, foreign elements are concealed within the market stalls, mingled in the abundance of local products, still producing a Sicilian market. 29A different discourse is applied to wild produce or fish, because there is an additional economic and cultural value attached to the wild. The herbs coming from the volcano, the hand-picked produce from the piedmont of the mountains and the fish caught directly by the fishermen are categorised as 'wild'. Other “wild” items such as dandelion, chicory and sinapi8 can be found on "normal stalls". They are slightly more expensive, labelled as selvatici (wild) or dell'Etna (from Mount Etna) and displayed in wooden crates. In the case of fish no label is required: the presence of fishermen functions as the guarantee of its wildness. Greengrocers, on the other hand, distinguish between their usual produce, keeping the “wild” separated. In the majority of the stalls wholesale produce is kept distinct from wild produce. 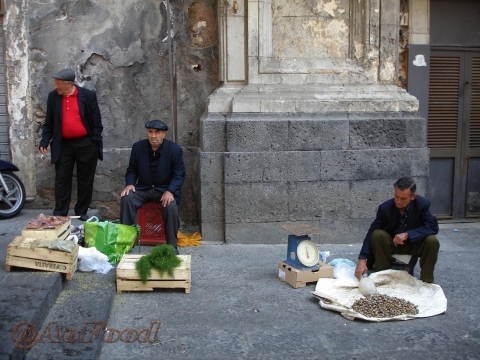 Figure 3: Men from Etna selling wild dill, oregano and snails at one of the passage to access the market. 30Placido Giuffrida, one of the fishermen selling his catch at the market, was generally critical of the market, but one day he showed me what he liked about it. He took me to an area of the market near the main entrance of La Pescheria, where three or four men were to be found sitting on plastic crates and displaying their few items on overturned wooden crates. To Placido and other vendors, they symbolise the best part of the market, embodying the countryside and the volcano, where everything tastes better because of its wildness. Placido's description illustrated his opinion about these men. 31The men don't look like sellers; they are simply dressed, wearing a coppola, a traditional black Sicilian cap, and smoking their cigarettes, while talking to each other. They are not there every day, and one is more likely to see them on the weekend. The produce they sell is neither grown nor farmed: it is foraged. The wild herbs (erbe selvatiche) they sell are widely used in traditional Sicilian dishes, and they normally come from the areas surrounding Etna. Etna thus has become the symbol of untamed nature, a magic soil from which the best ingredients still descend to the market. Wild plants and herbs are the ones which grow spontaneously, without human intervention. Boym (2001 : 13) states that this type of romantic nostalgia insists “on the otherness of his object of nostalgia from his present life and kept at a safe distance”. The wild within the urban market confirms its modernity through its longing for « an untouched space human contact corrupts and degrades » (Light, 1995 : 195). 32The men from Etna bring to the market the generous gifts of the island from this uncontaminated space. This is visible also through what they are selling: bunches of fresh dill, which in Sicilian is called finocchietto selvatico (literally wild fennel); origano (oregano), which is always hand-picked; babbaluci in Sicilian or lumache in Italian (snails), which are normally not farmed, but collected from around the countryside after the rain. They are placed in a basket and the scales are positioned on a cardboard box. Only a cotton cloth or a wooden crate separates the volcanic stone pavement from the produce. 34“[t]he notion that the Wild needs to be confined within strict limits (ritual or otherwise) is part of a wider ideological configuration establishing a clear demarcation between the Wild and the Domestic. [...] With the domestication of plants, a different concept of the global cycle of fecundity was constructed, a basic symbolic change in the relation to nature” (Hell, 1996 : 215). 35Wild foods are physically separated from both local and foreign produce. What's more, wilderness is symbolised by the volcano and by the sea; the products coming from these environments entered the market only though the mediation of men, either fishermen or the occasional sellers of wild plants. This idea of wilderness supported the mythological representation of the island, simultaneously blessed and threatened by the environment. Such representations are highly gendered: the volcano is a feminine power, which is transformed into a less threatening entity by men. Domosh’s lucid assessment goes straight to this point: « the control of nature by men […] is made ideologically easier if nature is feminized” (Domosh, 2001 : 179). 36The relationship to wilderness is deeply connected with the representation of the landscape and at the Pescheria this link is particularly visible when observing the way fish is displayed, since fish is the primary reason for customers to shop here. The crucial location of the fishmongers' square, Piazza Pardo, and the fishermen's square, Piazza Alonzo di Benedetto, informs the centrality of fish within the market. “Today we have the sea” (Oggi avemu u mari in Sicilian) shouts a fisherman in Piazza Alonzo di Benedetto. “The boutique of the sea” (A boutique do mari) yells a fishmonger in Piazza Pardo. The claim of freshness and genuineness is typical of markets in general (Téchoueyres, 2007) and fishermen and fishmongers shout of the freshness of their fish, recalling the closeness to the sea. 37Both fishermen and fishmongers act as mediators but their « transformative capacity” (Arens & Karp, 1989 : XV) differs. The type of fish, what is sold and the way it is sold contribute to representing different ideas of the sea. The fishmongers transform the sea into a boutique, they civilise it. Fishermen, on the other hand, bring attention to their role within the market, proudly picturing themselves as the most capable of bringing the sea to the city, never missing an occasion to define themselves in opposition to fishmongers and to boast their more direct relation to the sea. Following Serres's theory about appropriation through pollution (Serres, 2011), I would say that fishermen appropriate the sea by occupying it with their boats, by making it dirty through the emissions of the boats. Thus, the sea belongs to them and that is why they can bring the sea itself to the market. When I first asked Placido to describe his occupation, after an initial reluctance, he invited me onto the boat. The actual site where the fishermen identify themselves as such is not the market, but rather the sea. “Fishermen fish” he said. As Pino, one fisherman from Placido's crew, remarked that “The fish sells itself. You don't need to do much. If you fish, you just need to come to the market, put it in a bucket. People see it. It's fresh. Just caught”. 38At the market, the rhetoric of the confrontation with and the struggle against nature is endorsed by the fishermen's way of displaying their catch and performing its sale. As one of market's regular customers said, while buying some tuna that a fisherman had caught that morning : “The sea is dangerous, unknown, full of perils. It is still the sea in which Ulysses got lost”. A customer can easily recognise the fishermen - in their green rubber boots and jeans - as the ones who were out in the deep seas during the dark night, fighting against natural elements and yet able to come back to the land with a prey. Upon arrival to the market, fishermen proudly place the fish buckets on the floor. At this point they re-enact the fishing. Fish is fished again from the bucket with a skimmer: they lift the fish from the buckets as they lift the net from the sea to the boat. It looks like they fish it again from the buckets for the customers. Therefore this act can be regarded as the moment in which fishermen transform the wild into what is culturally acceptable, they become mediators between ‘nature’ and ‘culture’ within the market context. 39The association between nature and landscape is pervasive in the fishermen's world view. Fishermen have clarified their relationship to the sea, which gives them freedom and power. They are in fact in the habit of pointing the sea and the volcano from the boat and to look at the city, still sleeping at its feet. The idea of the landscape is intended as everything that surrounds a person, what one's eyes can see. It is possible to understand the meaning of this view by extending Gadamer's definition of horizon as “the range of vision that includes everything that can be seen from a particular vantage point” (Gadamer, 2013 : 313). The fishermen’s vantage point makes them guardians of the city, while everyone else is sleeping. In the darkness of the night, fishermen leave the city to come back at the sunset with a gift for the city. 40Criticising the term seascape, Ingold highlights the kinaesthetic nature of seafaring and the fluxes of sea, wind and weather, which characterised the mariner's daily experience, introducing the notion of ocean-sky (Ingold, 2012 : 199). Fishermen inhabit a space, whose only limit is the ocean-sky. In this fluid view, the landscape can be experienced and understood through movement (Ingold, 2000). Fishermen sail the water and understand it. As a result, the indistinguishable mass of water that is the sea is conferred specific meanings, the sea being the fishermen's own environment. On the fishing vessel fishermen often speak of the difference between the local familiar sea – the one enclosed within Catania's gulf – and the deep waters. Gadamer writes that « [a] person who has a horizon knows the relative significance of everything within this horizon, whether it is near or far, great or small” (Gadamer, 2013 : 313) and this perspective can be extended to the process of appropriation, which fishermen enact when relating to the sea. 41The small local Mediterranean fish, such as anchovies and sardines, are the easiest to catch in the city's gulf. Catania's bay is, in fact, the sea that fishermen perceive as domestic, familiar, not dangerous. This is clearly expressed by Placido when comparing local fishing to the fishing carried out in high seas. While driving the fishing vessel back to the harbour, he said to me : “This landscape is familiar to me. I was a kid when I started fishing here. I am never scared here. This sea is like home to me. You see Catania and the volcano. You recognise easily where you are and you don't get lost. It is like home”. 42The view from the boat when drift-netting9 in Catania's gulf is indeed very specific. It is possible to recognise the volcano, and when getting closer to the shore Catania stands out as the biggest city on the coast for miles. This bay is a comfortable place for Placido and the other local fishermen, close to home and less treacherous than the high seas. Placido does not enjoy going too far from the shore. He says “I don't like to go far away. I like to fish like this. In this area”. His attitude provoked the younger crew members to mock and tease Placido: “He is scared [‘Si scanta’ in Sicilian]. For him fishing means this [pointing the sea around the boat]. He doesn't like deep waters. A few weeks ago we went for tunas. We were away for three days and Placido never slept on the boat”. Domesticating the sea close to the city has a very important meaning. Placido perceives the Gulf of Catania as an extension of the city, a place where he feels safe and at home. It is still the risky sea, but it is somehow domesticated, tamed, thus safer. The fisherman's activities are in this way normalised, the working hours are still tough, but more compatible with the family life. He said “I like my home, I like to go back every night. It is much better to go fishing close to Catania, then go back home. This way is just like for other people going to work and being back for lunch”. Fishermen consider trawling and fishing in deeper waters more dangerous, for many reasons. They use sophisticated equipment, which is not easy to handle, and which requires expensive maintenance. What is more, it compels much longer periods of time on the boat. As Placido explained to me: “I like to sleep in my bed. When we go for swordfish or tuna, we remain off-shore for 15 or even 20 days”. 43Placido here introduces the two most prestigious local species: tuna (tonno in Italian, tunnina in Sicilian), and swordfish (pesce spada in Italian, pisci spata in Sicilian). These two big migratory species are the most challenging quarry with the highest economic value. They are seen as a risk since the local fleet has to invest more money and time to fish them. Catching a tuna is still considered an event, something to celebrate. As they journey to the market, there is a lively discussion about how the fish was caught, who caught what, and how large it is. There is normally a quarrel over the weight of the fish: heavier according to the fisherman and lighter according to the fishmonger. At the market itself, the special status of swordfish and tuna is confirmed not only by their economic value, but also by the way the fish are displayed. 44These two species are exposed as trophies, they symbolise the victory of the fishermen over the wild, their triumph over the sea. Both fish are displayed on a marble counter, like meat, cut in order to highlight each section, to show the consistency and the colour of the flesh. They are elevated to the same status as meat and they are also considered just as nutritious. In a nutshell, they assume a higher position on the marble counter. 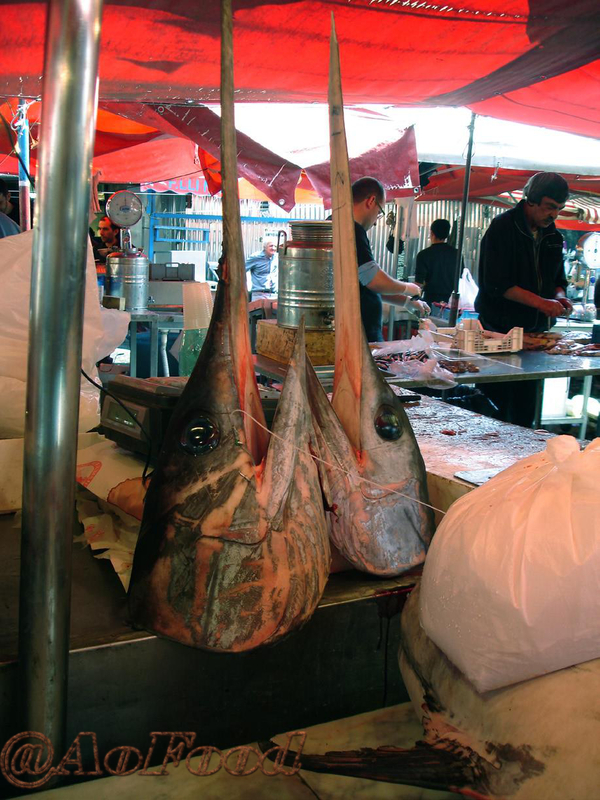 45Swordfish heads are placed on the stalls with their swords clearly visible to the customers; the large heads of these species seem to look right into the customer's eyes, with their mouths open and the fear of death in their eyes. They are on a higher plane in comparison to other fish, elevated also in a physical sense, placed in such a dramatic way that they recall hunting trophies or wild boar heads displayed in restaurants or hunting lodges. Figure 6 : Swordfish heads displayed on the counter. 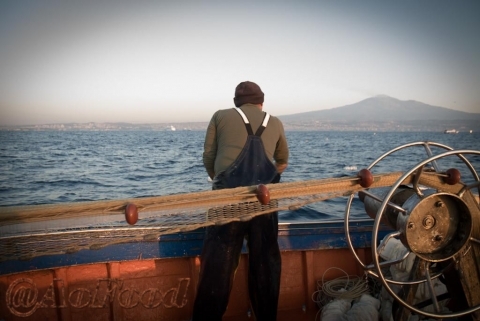 46In the past tuna and swordfish in Sicily were fished according to specific sets of rules. Fishing swordfish in the Messina strait was, for instance, associated with hunting, as swordfish are predatory fish, considered wild (Collet, 1984). Collet also highlights that fishing swordfish was traditionally regarded not as a profession, but as an art, in which the power struggle between man and nature was expressed. Tuna and swordfish fishing was ritualised and treated as magical activity. According to my informants the tonnaroti10 (local name for tuna fishermen) used to have the higher status among the fishermen. It was within this context of ritual that tuna and swordfish were caught. Nowadays the industrialisation and technological modernisation of fishing has changed the meaning attributed to this activity (Mondardini Morelli, 1990a; Mondardini Morelli, 1990b), as much as industrial production of meat has changed our relationship with animals (Fitzgerald, 2010). 47Fishermen feel that fish are a gift which they have the right to collect if they are brave enough to face the sea. It is a very similar idea to what Hell stresses when dealing with the concept of wild in hunting practice throughout Europe. 48“In southern European countries and in the major part of France, hunting is associated with the notion of free right of gathering. Hunters reject any idea of reasoned management of the wild fauna, considering that game 'grows on its own'; they prefer the beating method, which is described as an ancient and traditional hunting custom. In this hunting as 'gathering', everything is done to maintain a wide separation between the domestic and the wild” (Hell, 1996 : 207). 49The parallel between fishing and hunting is very important as both activities happen in an environment that is considered wild and dangerous; they are both male dominated activities and they relate to the separation between domesticated and wild space. In the fishermen's square there is a dramatic scene of blood and dirt. Here, nature is lived as uncontrollable and dangerous, but the presence of fishermen in this square symbolises their victory over the unknown sea. The function of the fishermen is to “domesticate the wild”, and to do so they need to “draw it into the boundaries of the known, to 'fix' it into a (hopefully) secure state. (Anderson, 1997 : 481)”. It is possible to draw a parallel with Vietnamese women's role in the household transforming ‘nature’ into ‘culture’, which position them “at the edge of 'culture'” (Avieli, 2012 : 53). Analogously fishermen exercise this transformative capacity on the boat and at the market. In the wider society, their profession is stigmatised. Placido explained to me that despite being very remunerative, his job lacks social prestige and even his family despises the boat. He even felt compelled to build a shower in the garage, so that he could wash downstairs before entering the flat. His wife forbids him to access their flat before having washed away the smell of fish, even so, “the smell of fish stays with you, no matter what”, he concluded. 50In this paper I have described how the landscape is a lived and experienced mental mapping of the material world and how consequently food cultures cannot be viewed as static, but in a constant renegotiation of their ties to place. This perspective allows one to see the market as a space in which it is possible to deal with pollution, through the experience of dirt, blood and the contact with dead animals. As I have described, food is displayed, sold and bought according to certain very specific categories: wild, local, and foreign. Goods are grouped and classified following a specific hierarchy: the wild, the domestic or local, the foreign. The local is displayed as abundant, but is often mixed with foreign products. This constitutes a reinforcement of the value of the domestic and local; abundance is everywhere on display because food scarcity has been defeated. A small portion of wild products is displayed next to the local and foreign goods, but kept separate from these. The wild stakes a more prestigious position: it is rare, precious, and spontaneous. In the case of fish, it is more difficult to catch, while plants are to be sought and collected. Wilderness needs to be challenged and filtered to enter the market, but also feared and respected. 51The ‘wild’ is separated and contained, and informs a social order, in which ‘wild nature’ simultaneously brings destruction and fertility. The power of ‘nature's presence’ within the market confirms the desire of a relationship with the landscape and, through it, with the island itself and with a certain kind of Sicilianess, but it also carries important political implications, which can contribute to a different reading of the relationship between Sicily and the rest of Italy. Both local and wild food reinforce the idea of Sicilian exoticism. Nostalgia, romantic landscapes, the idea of an untouched nature all contribute to sustain the otherness of Sicily within the contested Italian national identity and to extend it further into the Mediterranean within the European political geography. 52I stress that the analysis of food categories needs to take into account the different layers of the complex system of meanings attributed to food. This might include categories which are not visible or declared overtly but are significant in that they help us to define better the more visible categories. A clear example is provided by the 'foreign' products, which within this market become relevant for our understanding of 'local' food. Moreover this kind of approach allows us to embrace a wider perspective on the way people think and experience food. 53ALLEN, P. 1999. “Reweaving the food security safety net: Mediating entitlement and entrepreneurship”, Agriculture and Human Values, 16(2) : 117-129. ANDERSON, 1997. “A walk on the wild side: a critical geography of domestication”, Progress in Human Geography, 21 : 463-485. ARENS W. & KARP I. 1989. “Introduction”, in W. Arens & I. Karp (eds. ), Creativity of Power. Cosmology and Action in African Societies. Washington: Smithsonian Institution Press. ÁRNASON A. et al. (eds.). 2012. Landscapes Beyond Land. Routes, Aesthetics, Narratives. New York – Oxford : Berghahn Books. Avieli N. 2012. Rice talks : food and community in a Vietnamese town. Bloomington: Indiana University Press. Aymard M. 1987. “Economia e societá: uno sguardo d'insieme”, in M. Aymard & G. Giarrizzo (eds. ), Storia d'Italia. Le regioni dall'Unitá ad oggi. La Sicilia : 5-37. Torino : Einaudi. Barone G. 1987. “Catania, La "Milano del Sud"?”, in M. Aymard & G. Giarrizzo (eds. ), Storia d'Italia. Le regioni dall'Unitá ad oggi. La Sicilia : 332-352. Torino : Einaudi. Bender B. 1993. “Introduction: Landscape - Memory and Action”, in B. Bender (ed. ), Landscape. Politics and Perspective : 1-17. Providence : Berg. Bestor T. C. 1999. “Wholesale Sushi. Culture and Commodity in Tokyo's Tsukiji Market”, in S. M. Low (ed. ), Theorizing the City. The New Urban Anthropology Reader : 201-242. New Brunswick, New Jersey : Rutgers University Press. Bestor T. C. 2004. Tsukiji. The Fish market at the Center of the World. Berkeley and Los Angeles : University of California Press. Black R. E. 2012. Porta Palazzo. The Anthropology of an Italian Market. Philadelphia : University of Pennsylvania Press. Blake, M. K. et al. 2010. “Buying Local Food: Shopping Practices, Place, and Consumption Networks in Defining Food as "Local". Annals of the Association of American Geographers, 100(2) : 406-426. Boym S. 2001. The Future of Nostalgia. New York : Basic Books. Casey E. S. 2001. “Between Geography and Philosophy: What Does It Mean to Be in the Place-World?”, Annals of the Association of American Geographers, 91(4), 683-693. Collet S. 1984. “II territorio, il ferro, il segno e la parte. La pesca al pesce spada nello Stretto di Messina”, La Ricerca Folklorica, 9, 113-119. Cosgrove D. 1993. “Landscapes and Myths, Gods and Humans”, in B. Bender (ed. ), Landscape. Politics and Perspectives : 281-305. Providence : Berg. Cosgrove D. 2006. “Modernity, Community, and the Landscape Idea”, Journal of Material Culture, 11 : 49-66. Counihan C. 2004. Around the Tuscan Table. Food, Family, and Gender in Twentieth Century Florence. New York : Routledge. Counihan C. & Siniscalchi V. (eds.). 2014. Food activism: agency, democracy and economy. London : Bloomsbury. De La Pradelle M. 2006. Market Day in Provence. Chicago : The University of Chicago Press. Domosh M. & Seager J. 2001. Putting Women in Place. Feminist Geographers Make Sense of the World. New York : The Guildford Press. Douglas M. 1966. Purity and Danger. An analysis of concept of pollution and taboo. London : Routledge. Fazio E. 2008. “Le erbe spontanee a tavola: Senape Selvatica”, accessed 12 June 2012 : [http://locandafantastica.wordpress.com/​tag/​sinapa/​]. Fitzgerald A. J. 2010. “A Social History of the Slaughterhouse: From Inception to Contemporary Implications”. Research in Human Ecology, 17(1) : 58-69. Gadamer H.-G. 2013. Truth and method. London : Bloomsbury. Grasseni C. 2013. Beyond alternative food networks: Italy's solidarity purchase groups. London : Bloomsbury. Graziano M. 2010. The Failure of Italian Nationhood. The Geopolitics of a Troubled Identity. New York : Palgrave Macmillan. Hart E. 2007. “Destabilising Paradise: Men, Women and Mafiosi: Sicilian Stereotypes”, Journal of Intercultural Studies, 28(2) : 213-226. Hell B. 1996. “Enraged Hunters. The domain of the wild in north-western Europe”, in P. Descola & G. Pálsson (eds. ), Nature and Society. Anthropological Perspectives : 205-217. London : Routledge. Hinrichs C. C. 2000. “Embeddness and local food system: notes on two types of direct agricultural market”, Journal of Rural Studies, 16 : 295-303. Hirsch, E. 1995. “Introduction. Landscape: Between Place and Space”, in E. Hirsch & M. O'Hanlon (eds. ), The Anthropology of Landscape. Perspectives on Place and Space : 1-30. Oxford : Clarendon Press. Ingold T. 1980. Hunters, pastoralists, and ranchers: reindeer economies and their transformations. Cambridge, New York : Cambridge University Press. Ingold T. 2000. The perception of the environment: essays on livelihood, dwelling & skill. London : Routledge. Ingold T. 2012. ‘The Shape of the Land”, in A. Árnason et al. (eds. ), Landscapes Beyond Land. Routes, Aesthetics, Narratives : 197-208. New York – Oxford : Berghahn Books. 54ISTAT. 2011. Geo Demo, accessed 25 December 2012 : [http://demo.istat.it/​pop2011/​index.html 25.06.2012]. Light A. 1995. “Urban Wilderness”, in D. Rothenberg (ed. ), Wild Ideas : 195-211. Minneapolis: University of Minnesota Press. Longo S. B. & Brett C. 2012. “The Commodification of Bluefin Tuna: The Historical Transformation of the Mediterranean Fishery”, Journal of Agrarian Change, 12 April and July (2-3) : 204–226. Mondardini Morelli G. 1990a. “Introduzione. La cultura del mare”, La Ricerca Folklorica, 21 : 5-6. Mondardini Morelli, G. 1990b. “Saperi e cattura nella pesca. L'accesso al territorio del mare nel Golfo dell'Asinara”, La Ricerca Folklorica, 21 : 43-49. Montanari M. 2006. Food is Culture. New York : Columbia University Press. Renda F. 2000. Sicilia e Mediterraneo. Palermo : Sellerio. Schneider J. C., & Schneider P. T. 2005. “Mafia, Antimafia, and the Plural Cultures of Sicily”, Current Anthropology, 46(4) : 501-520. Serres, M.. 2011. Malfeasance : appropriation through pollution?. Stanford : Stanford University Press. Sorcinelli P. 1999. Gli italiani e il cibo. Dalla polenta ai crackers. Milano : Mondadori. Starnini G. G. 2008. “Il territorio come organismo vivente. Per un'economia sensibile ai localismi”, L'Albero, II(1) : 8-13. Stewart P. J. & Strathern A. 2003. “Introduction”, in P. J. Stewart & A. Strathern (eds. ), Landscape, Memory and History. Anthropological Perspectives : 1-15. London : Pluto Press. Téchoueyres I. 2007. “Food Markets in the City of Bordeaux - From the 1960s until Today: Historical Evolution and Anthropological Aspects”, in P. J. Atkins et al. (eds. ), Food and the City in Europe since 1800 : 239-249. Aldershot : Ashgate. Tilley C. 1994. A Phenomenology of Landscape. Places, Paths and Monuments. Oxford : Berg. 55Turri E. 1979. Semiologia del paesaggio italiano. Milano : Biblioteca Longanesi & C.
1 My argument is based on my doctoral thesis' ethnographic research, conducted in Catania for 18 months and during the subsequent visits to the Sicilian city. The main focus of my ethnography was one of Catania's historical markets, called La Pescheria. The first part of my fieldwork was dedicated to the observation and mapping of the market, which was necessary in order to become familiar with the space of the market and to acquire an in-depth knowledge of its display. After this preliminary approach, I started the participant observation of La Pescheria, becoming a regular of the market and building relations with traders, buyers and regular customers. I extended the participant observation to many contexts outside the marketplace, such as the wholesale markets, the city's eateries, food retail outlets, and other Catanese markets. A special mention is required for the fieldwork I conducted on a local fishing vessel, where I spent three months fishing. 2 Recent historiography of Italy has been dealing extensively with these issues (Renda, 2000 ; Graziano, 2010). 4 It is interesting to notice the recent trend of supermarkets and organic shops, which arrange the produce's display recalling an open-air market. 7 The railway was fundamental for the trade in sulphur, which had been extracted in Sicily on a massive scale since the 19th century. 8 One of the most common wild herbs is also called cavuliceddi. According to the botanic categorisation, these plants belong to the genus of Sinapis Arvensis, including the species of Brassica nigra (black mustard) and Brassica fruticulosa (Fazio, 2008). 9 Despite the decrease in fish stocks, Catania's bay is still celebrated for the traditional fishing of anchovies and sardines, being sufficiently well-known for the Slow Food Movement to have initiated a Praesidium concerning the Masculina da' Magghia (literally anchovies caught in the mesh), small anchovies fished in a ‘traditional’ way. The head of the fish gets caught in the net. Both vendors and buyers at the market say that the bleeding provoked when the fish is taken out of the net makes the fish tastier. Drift-netting, celebrated as a traditional fishing technique, raises questions of sustainability: it is not selective, and it is believed to be dangerous for dolphins, sea-birds and turtles. 10 They were the ones conducting the mattanza inside the Sicilian tonnare. A tonnara is a trapping system, designed to capture the migrating tunas before or after spawning (Longo & Brett, 2012). “As the main component of the trap, it is made up by many camere or 'chambers' that divide the large structure into multiple squared pens that capture, contain and move fish towards the final harvesting” (Ibid : 210). The final stage is called mattanza, from the Spanish matar (to slaughter), and it used to occur in the camera della morte (chamber of death). This practice is not currently in use; the only operating tonnara is the one in Favignana, but it has become mainly a tourist attraction.